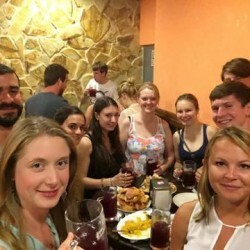 Why you have to visit las musas hostel Madrid? 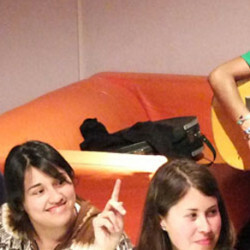 Las Musas was founded in August of 2008 in order to fill a need in the hostel sector for an affordable hostel with excellent service in downtown Madrid. Facundo, Sergio and Pedro were inspired to launch their project, Las Musas, which has accommodated more than 250,000 people since its opening, to create a hostel that is much more than a place to leave your bags while you explore the city. Those who stay at Las Musas leave their mark on the hostel before they travel on with the best memories of the Iberian capital and the best stories of those moments that come out of nowhere when you’re in the right place, when you feel at home, when you’re one of the family. Our goal is clear: we want all of our guests to come back and to recommend us to their friends. In order to achieve this goal, we work hard every day to make the Las Musas experience nothing short of excellent How do we do it? It’s a simple formula. We are committed to quality, both in our accommodations and in our personnel. There are an infinite number of travelers and journeys, and we consider Las Musas to be a common refuge and a place to meet people of all different kinds. This is why we offer so many different types of rooms and activities and are very selective when choosing our professional staff, of whom we are very proud. 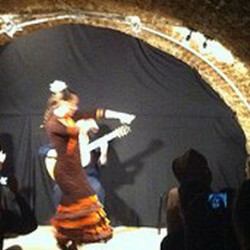 At Las Musas we will do everything possible to make you feel at home while you experience your journey and your life… families, couples, excursions, groups, single travelers, Erasmus, those looking for an apartment in Madrid, people touring Europe, old school backpackers…whatever your travel style is, let Las Musas be a part of it. Everyone likes to be in good company, because all of us like to feel at home. Our target is clear: we want all of our guests to come back and recomend us to their people. For that, we work every day trying to make your experience at least, excellent. Just as a proof, we can tell you we renew mattresses every year, redesing our common areas every 2 years, and add more and more activities as long as you find them appealing.